This was the first loudspeaker we realized with a real bass horn. With bass compression chamber. Introduced back in 2009, now it is time to discontinue it. It is a small loudspeaker with astonishing sound qualities. I know several people, who would not even think about changing it, not even for the bigger ones: they have become addicted to the bass horn! 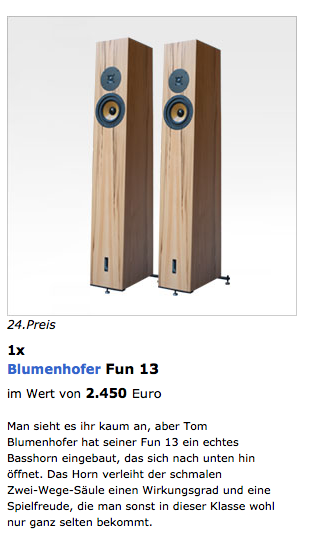 Should You wish to have more information about it, You can find them here in Blumenhofer History. 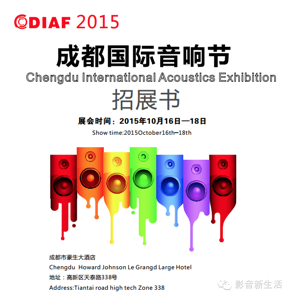 Tony participated to the Chengdu International Exhibition with our big Fun 17. Things are changing for us in China… soon more news about it! During the show in Veldhoven 2012 we meet René Visker, a painter from the group of the Ritsart Gallery in Maassluis, The Netherlands. René speciality are realistic painting and we were all quite astonished about the way and the quality of his work. After this meeting we decided to cooperate with them. Curious about the result, here some more pictures… more will come. In Düren, at the Record-store, there have been an event focused on music. They concentrated on vinyl (if I understood correctly) and have chosen our loudspeakers to present their music. It is a very charming compliment. 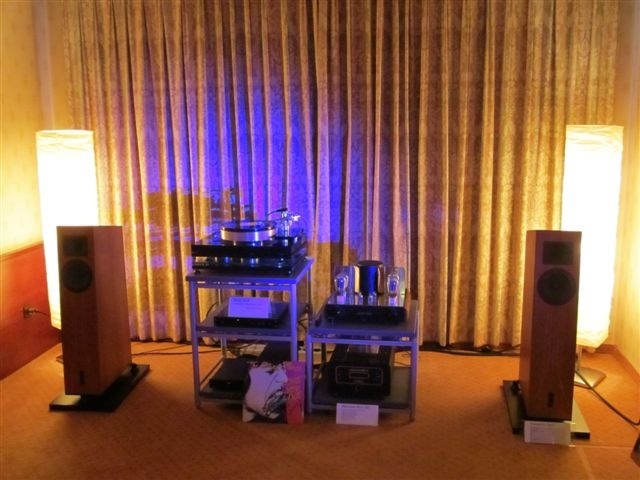 Straight before the Munich High End 2012 Wolfram Eifert tested our big Fun 17. That article is a really good description of what our loudspeaker is able to do. By chance I found the online version of the article some minutes ago. Here You can read it. That article was a comparison between 3 horn loudspeaker following 3 different operating principles. Here You can find the whole comparison. 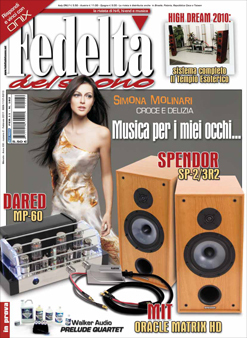 You can read it on Stereoplay 06/2012 on page 38 as well. Parallel to the CES, in the Flamingo Hotel there was T.H.E. Show. 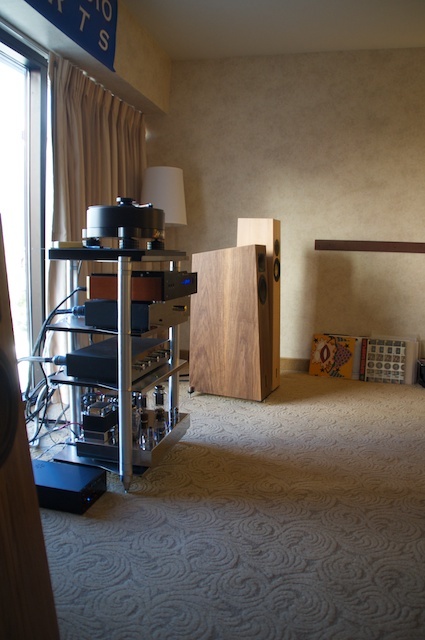 An HiFi show in Las Vegas, open to the whole public, not only professional, but private people as well. 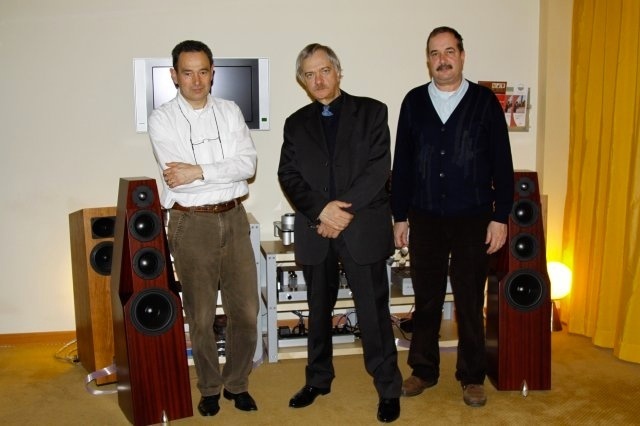 Tom Hills asked us to use our Loudspeakers to present his new line of power amplifiers. We appreciated his appreciation and borrowed him the big Fun 17 and the Fun 13. 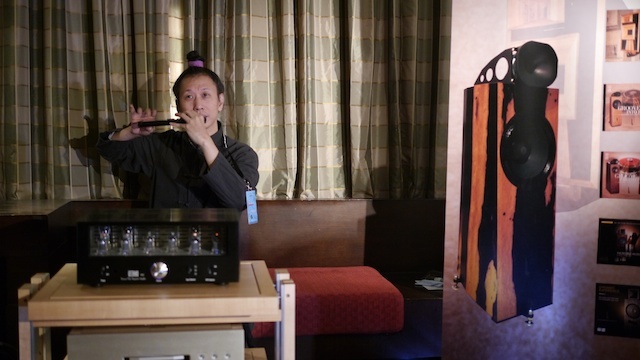 He was really astonished by the sonic quality of booth loudspeakers and did not want to believe the quantity of bass that the small Fun 13 has been able to deliver. I'm sorry I did not spend that much time at T.H.E. Show. It would have been worth it!! 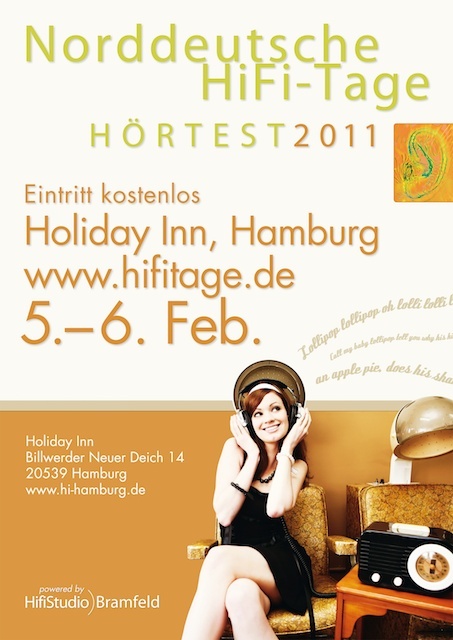 We have been present at the Westdeutsche HiFi Tage in Bonn. Jürgen Fuchs of HiFi Studio Fuchs presented our Loudspeakers. The show has been a real success of public with over 2000 people visiting the show. In my humble opinion, this is what music needs to find back its place in the houses of the people: the place it deservs. am Samstag haben Grandinote Shinai und Celio die Fun 17 auf Touren gebracht. Sonntag haben eine Trigon Phonovorstufe und ein Mastersound 300B / PSE die Musik übernommen. An beiden Tagen spielte ein Rui Borges UNO Plattenspieler mit Reed 2A Tonarm und Phase Tech 3G Tonabnehmersystem. Die Verkabelung stammte von dolphin audio. Die Veranstaltung wurde von ca. 3000 interessierten Musikliebhabern besucht. Das Interesse verteilte sich gleichmäßig auf Plattenspieler, Elektronik und Lautsprecher. Insgesamt wurde jedoch immer wieder die Homogenität der angeschlossenen Musikgeräte hervorgehoben. Resultat: One of the best sounds of the show!!! Also eine Wiederholung der Meinungen vom Analog Forum in Krefeld von vor drei Wochen. 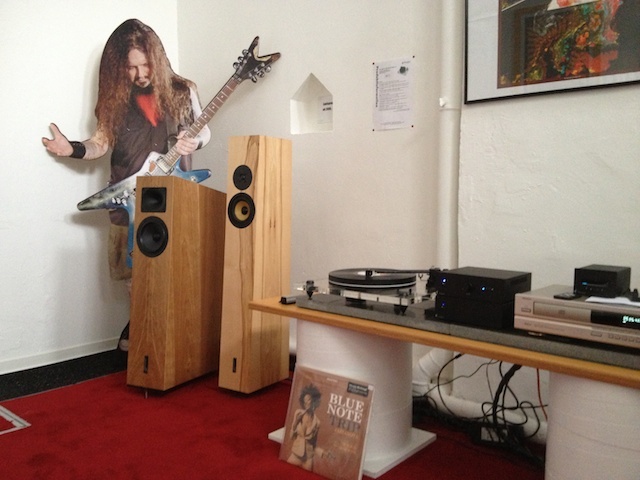 Sunday a MastersounD 300B/PSE and a Trigon Phono-preamplifier took over. On both days the Rui Borges UNO turntable with REED 2A Tonearm and Phase Tech 3G cartridge. Cables from Dolphin Audio. About 3000 people have been present at the show and the interest has been distributed between turntable, electronic and loudspeakers. Always has been appreciated the homogeneity of the whole chain. This lead to the common statement of the public 'Best sound of the show'!!! 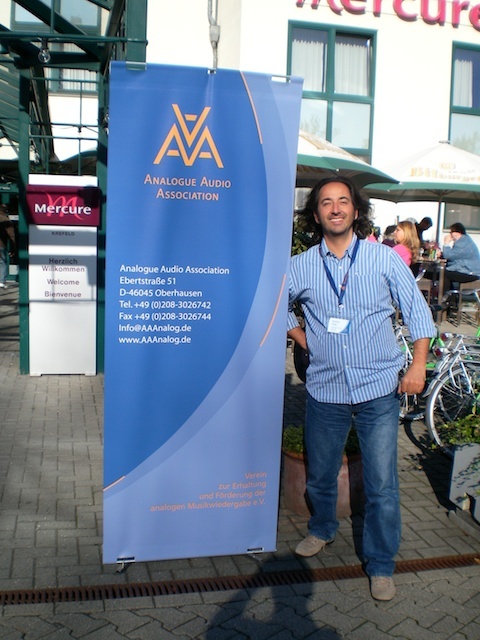 Again, the same opinion and feedback coming from the analog audio forum in Krefeld 3 weeks ago. I'm really satisfied with the result our rooms achieved during the show. I have to say a great thank You to the whole organization team and the really kind people working for the Music in its original form. 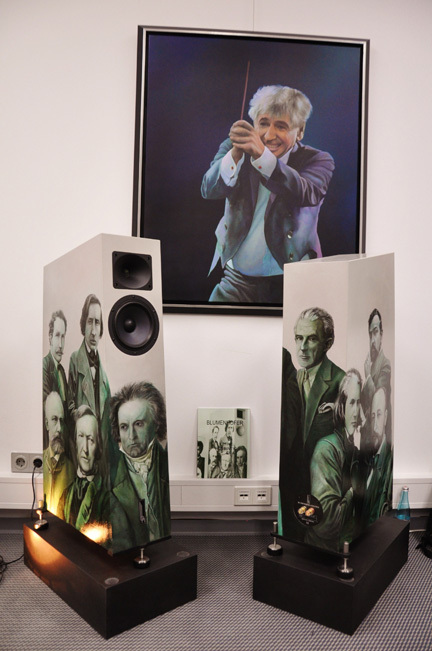 At the end of the Show, Eric from Essen won a Pair of Blumenhofer Acoustics Satellite PC Loudspeakers and Marion from Oberhausen one set of DynAris by Aktyna. The only change is in the name. The Fun 17 today became the big Fun 17. No other changes in the project, but the name. Excellent report about the Fun 17 on Fedeltà del Suono N°182 in Italy. There it seems that the journalist for the first time after a long time enjoyed listening music instead of a system.... and we got the Tech Award! Here you can download the article in Italian. Even this year it came to us. More a surprise than planned played our Fun 17 in Padova at the Gran Galà dell’alta Fedeltà. Organized by Giulio Cesare Ricci (www.fone.it) becomes the Gran Gala a permanent place in the Italian cultural live. The Fun 17 has been presented by Da Pieve HiFi and Arem HiFi of the Homevision group. The presentation met the taste of the public and the response have been positive. Here to the official web pages. We received some days ago a mail from one of the visitors of the exposition, I translate it here below... I do not need to say more, this is the biggest satisfaction for me. With biggest surprise and genuine astonishment among the present people, I truly enjoyed your presentation with my brother in law on saturday evening! In our ramble trough the corridors he suddenly said “there plays a live band!” (no joke) and disappeared in direction of Blumenhofer/Einstein... that was the hammer! Tree times we came back to the room because it made Fun to enjoy each kind of music that way.